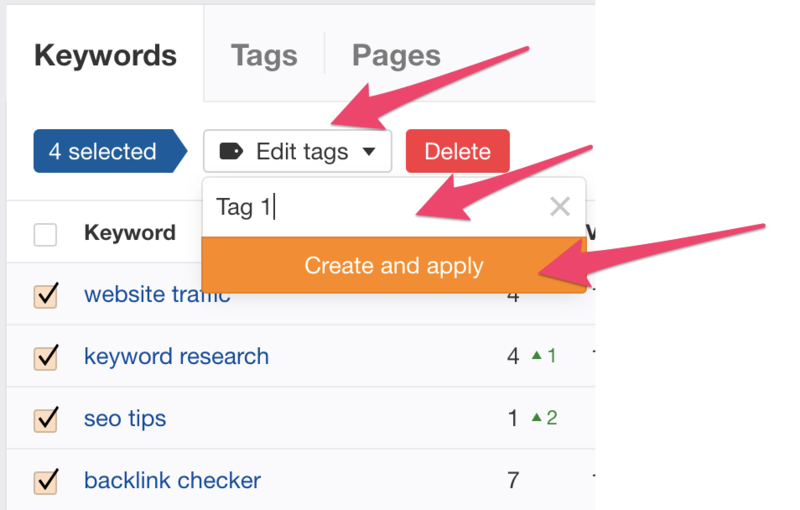 Find out how to add tags for your keywords list on Rank Tracker. Tagging your keywords on Rank Tracker is a great way to keep a tab on groups of keywords and their ranking performance over time. Here's how to add tags onto your list of keywords. Within the Keywords tab of your Overview report, select the keywords you wish to add the tag for. Select "edit tags", name your tag and then click "Create and apply". Your newly created tag will be reflected right beside the keywords as shown here. 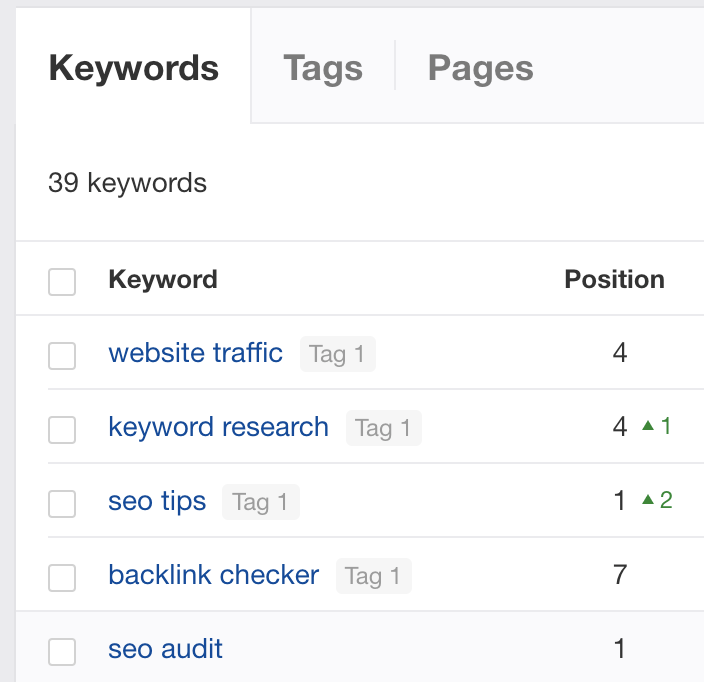 Clicking on the Tags tab in Rank Tracker Overview report will now show you the consolidated performance of the keywords within the newly created tag. Information like visibility score (+ changes), average position (+ changes), search traffic (+ changes), SERP features and keyword position can be seen at a glance.